While it’s true that there’s a beer for every season, beer and summer go together best. 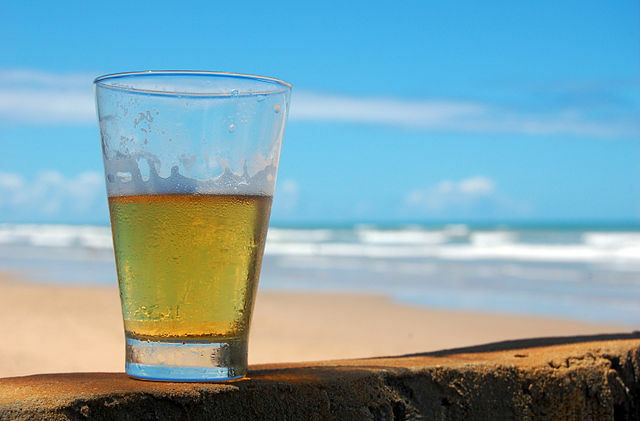 Whether you’re hitting the beach, heading to a backyard pool party, or just looking to cool off during the dog days, there is myriad of summer-friendly beer styles to fuel your summertime vibes. But shopping for the best brew for your fun in the sun can be daunting. There are so many choices in so many different styles, and what’s the difference between a pilsner, an American lager, and a cream ale anyways? So put your wayfarers on, and let’s take a look at the beers of summer so that you’re ready to pick the best six pack for your adventures. There’s a reason that the lager beers born in Europe in the 19th century became the dominant styles of beer for over a hundred years. They are balanced, ingredient-driven, and effortlessly drinkable. Regional variations, from the pilsners of Bohemia that started the revolution to the helles of Munich that accentuate a crisp malt flavor over hop presence, exist that fine-tune the flavor profiles for differing tastes and climates. Even the maligned American light lager has its roots firmly in the German beer tradition as immigrant brewers from the old country adapted their recipes to new world ingredients. One element that all these brews share is their easy-drinking and refreshing qualities, and this makes the golden lager family a perfect choice when you’re more interested in drinking a cold one than dissecting flavor profiles. If you’re usually an IPA drinker, but you’re looking for something a bit lighter and better suited to the pool, beach, or boat, reach for one of the new wave of hoppy pilsners such as Firestone Walker’s Pivo Pils or the old standby from Victory Brewing: Prima Pils. If you prefer a softer brew with a little less bitterness, start looking at the helles style. These brews, such as Maui Brewing Co.’s Bikini Blonde and Hangar 24’s Wheel’s Up will show off the delicate balance between noble hop character and bready malt flavors that a good helles strikes. These are also beers that even the craft-phobic will happy drink without protest or even a second thought. The distinction between German pilsner and Czech pilsner is increasingly blurry in the American craft landscape (technically, Bohemian pilsner is slightly more robust and full bodied, and while they tend to be more generously hopped the drier finish of the German style pils can give the impression of more bitterness). Even American examples that proudly proclaim their bohemian heritage are often as dry and light the classic pilsners of Germany. Basically, the variation between all these American craft pilsners brewed in European style are slight — try as many as you can get your hands on to find the perfect mix of body, bitterness and hop aroma for your palate. Somewhat misunderstood and rarely respected, the kolsch is another style native to Germany (this time Cologne) that prizes drinkability over everything. Kolsch is an ale, but it was first brewed to compete with the lagers of Munich and Bohemia. It was made to be as lager-like in flavor as possible through a low-temperature fermentation and extended cold conditioning. In reality, the fermentation flavor falls somewhere between the fruity esters of an ale and the clean flavor of a lager. The style has long been popular with American ale breweries (and especially brewpubs) looking for a beer that can cross-over to the macro drinkers. Kolsch is often overlooked or derided, but the crisp finish and zippy wiff of hop aroma in the best examples demonstrate that they were designed to be gulped in quantity, and while out of doors. Cream ales are an American adaptation of the kolsch concept and a more mysterious British style that’s very rarely seen on American shores (the golden sparkling ale). Cream ales often use adjuncts like corn or rice to further lighten the body and flavor, and hopping rates are generally even lower than kolsch. The result is a beer that’s somewhere between a PBR and a German kolsch. Excellent examples of the cream ale are difficult to come by, but a few Southern California brewers have mastered the style and produce draft-only cream ales that fly utterly under the beer-geek radar. AleSmith’s Cream Ale, Beachwood Brewing’s Foam Top, and Bagby Beer Company’s Continental Cream are all feather-light, briskly dry, and bitter enough to send you back for another quenching sip. Commercial examples of fine kolsch are easier to come by. While the imported classic Reissdorf Kolsch is a benchmark for the style, bottles that suffer the long journey from Cologne are rarely as vibrant as a good American craft example. 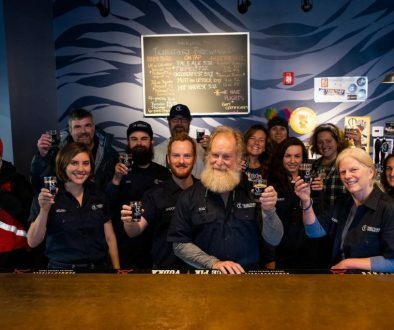 Trillium Brewing Sprang, California Kolsch from Ballast Point Brewing, and the Alaskan Brewing Summer Ale are all stand-out American versions, but your best bet is to sample the kolsch doubtlessly offered by the smaller breweries close to you. Kolsch is not a style that travels particularly well. To break all that down, you can’t really go wrong with any of the light golden beers of summer (and we didn’t even touch on the ultra-refreshing wheat beers — perhaps in part two). Pilsner, helles, kolsch and cream ale is all built to be effortlessly drinkable, thirst quenching and restorative, and just flavorful enough to be satisfying without being fatiguing. And since nearly all examples across the styles are between 4 percent and 6 percent alcohol, they work well as session-friendly beers. 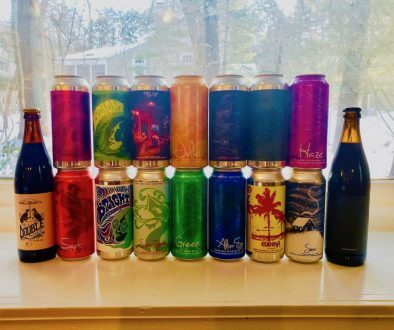 Many commercial examples are now sold in cans, and as they are not overly aroma-driven, they are great candidates for drinking when you don’t want to fuss with proper glassware. Basically, you can’t go wrong and your best bet is to just dive in and try all the styles until you find what fits you perfectly.